Truly AMVETS was born in the midst of war, for it was in August 1943, with victory still two years away, that a new organization, later to be known as American Veterans of World War II, had its beginning. Overseas the tide of battle was turning. The Allies had swept through North Africa and Sicily. In the Pacific fighting raged in New Guinea. Thousands of Americans had made the supreme sacrifice. Thousands more were being mustered out of uniform with battle wounds and medical discharges. These men who fought in history’s greatest war found it natural to seek each other’s company. They were united by similar experiences—in jungles, in the Arctic, in deserts, in mountains, at sea, and in the skies. Thus, out of such comradeship, AMVETS came to be. In December, 18 leaders, representing these nine groups, met in Kansas City, Mo. There, on December 9, 1944, a national organization was formed known as the American Veterans of World War II–or AMVETS, as newspaper headline writers took to calling it. The White Clover, meaning “Remember Me,” was chosen as the official flower of AMVETS. Found not only in America but also throughout the world, it symbolizes the states from which U.S. Armed Forces were drawn and the worldwide battlefields on which they fought. In October 1945, two months after the end of World War II, the first national convention was convened in Chicago. The next year AMVETS petitioned Congress for a federal charter. In the words of the Senate Judiciary Committee the organization being “organized along sound lines and for worthy purposes … having demonstrated its strength and stability, is entitled to the stability and dignity which a national charter will afford.” On July 23, 1947, President Harry S. Truman signed the AMVETS Charter. When the war broke out in Korea in 1950 and again during the Vietnam crisis in 1966, AMVETS requested Congress to amend the charter so that those serving in the Armed Forces would be eligible for membership. 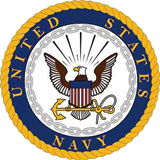 On September 14, 1966, President Lyndon B. Johnson signed the bill redefining the eligibility dates for AMVETS membership– “Any person who served in the Armed Forces of the United States of America or any American citizen who served in the armed forces of an allied nation of the United States on or after September 16, 1940, and on or before the date of cessation of hostilities as determined by the government of the United States is eligible for regular membership in AMVETS, provided such service when terminated by discharge or release from active duty be by honorable discharge or separation.” On May 7, 1975, President Gerald R. Ford signed Proclamation 4373, terminating the Vietnam era and the cessation of hostilities; the next day the Armed Forces became a peacetime service. For nearly 10 years AMVETS did not accept into membership servicemen and women who served after May 7, 1975, Then, on May 31, 1984, President Ronald Reagan signed Public Law 98-304, which amended AMVETS’ congressional charter to open the organization’s membership to those who served honorably and actively after May 7, 1975. Today, in recognition of the sacrifices made by all veterans and service personnel, membership in AMVETS is open to all American veterans who have served or are serving in the Armed Forces of the United States during and since World War II. The frequently asked questions below may increase your understanding of AMVETS and our membership requirements. If you have an unanswered question, please call AMVETS, Department of Wisconsin at (414) 273-5288. Annual dues are $25 a year when you join online as a member at large. Life membership is $250. You can request a transfer from MAL status to a post. By joining a post, you can actively help veterans through a variety of AMVETS programs. We have fifty-eight (58) Posts in the State of Wisconsin. Take a look at the Posts on this web site to see if we have one near you. Email or call the post point of contact and let them know you are interested in joining their post and they will help you with the transfer. When troops returned to America at the end of WWII, many used their newly earned GI bill benefit to complete a degree, a goal usually reserved for the wealthy. Veterans found they we comfortable with other veterans on campus and they formed veterans’ clubs. These clubs became active in shaping American policy and on July 23, 1947, President Harry Truman signed public law 216 which granted a Congressional Charter to AMVETS (American Veteran). 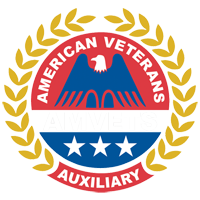 Yes, you can join the AMVETS Ladies Auxiliary. The Ladies Auxiliary works closely with AMVETS posts on programs to help veterans. 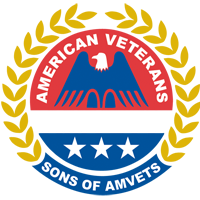 Yes, you can join the Sons of AMVETS. What a GREAT way to honor your fathers service. Many of our Posts have Sons of AMVETS Squadrons working closely with the AMVETS members to help support returning veterans. 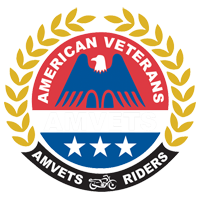 AMVETS has a strong contingent of veterans that enjoy motorcycles this subordinate organization is the AMVETS Riders, visit their page to learn more about joining. You can donate directly to AMVETS through our web site. We were wondering when we would see you again!